Water temp has dropped into the mid 50's and the lake level is still getting lower. Rainy cold and windy was the normal weather this week. 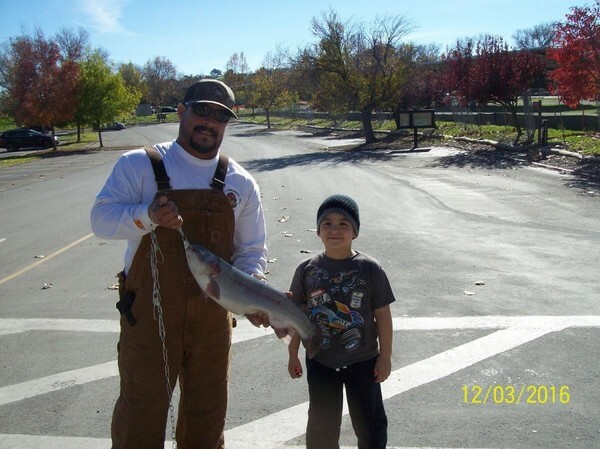 Mt Lassen planted 1000 lbs of trout at the public launch on Wednesday December 7th. 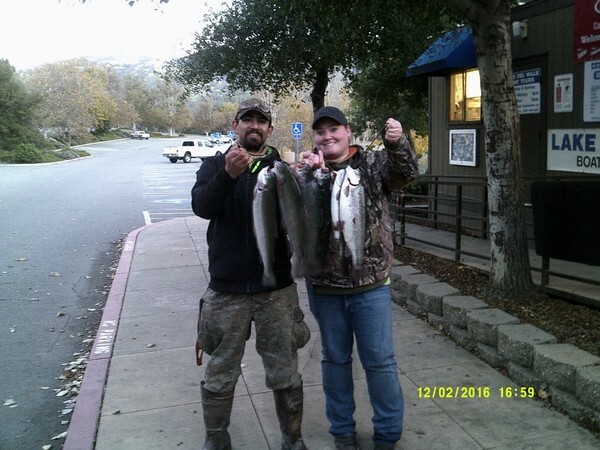 Fishermen are already catching these bows on night crawlers and crappie tubes. Catfish are still eating bait, worms are the bait of choice at the moment. When the creek starts to flow we will see a lot of cats coming in, even off of lures when the weather and creek flow are in harmony. All PowerBait products work great for trout, from the original power dough down to the eggs, worms and mice tails. Scent will also become a huge factor as the lake turns muddy from the rain. Pro-cure, Mike's Lunker Lotion and Smelly jelly are great brands to stalk up on.